The Image of God in M.L.K. “Now let me say that the next thing we must be concerned about if we are to have peace on earth and goodwill toward men,” Martin Luther King, Jr. once said in a sermon, “is the nonviolent affirmation of the sacredness of all of human life.” This argument places the divine origin of human life at the center of the conversation over human equality. That’s because the Brotherhood of Man is dependent upon the Fatherhood of God. Reject the latter and you erode the foundation for the former. On a day when many remember King’s heroism we do well to also remember his thesis. This principle, if true, as it surely is, cannot be selectively applied or systematically denied. If the biblical depiction of man is true, as indeed it is, it is true for all. Because God is our father we are all brothers. The monument to Martin Luther King Jr. stands in Washington D.C. as a reminder of a man who preached a doctrine strong enough to sustain human values and powerful enough to fight back hate. 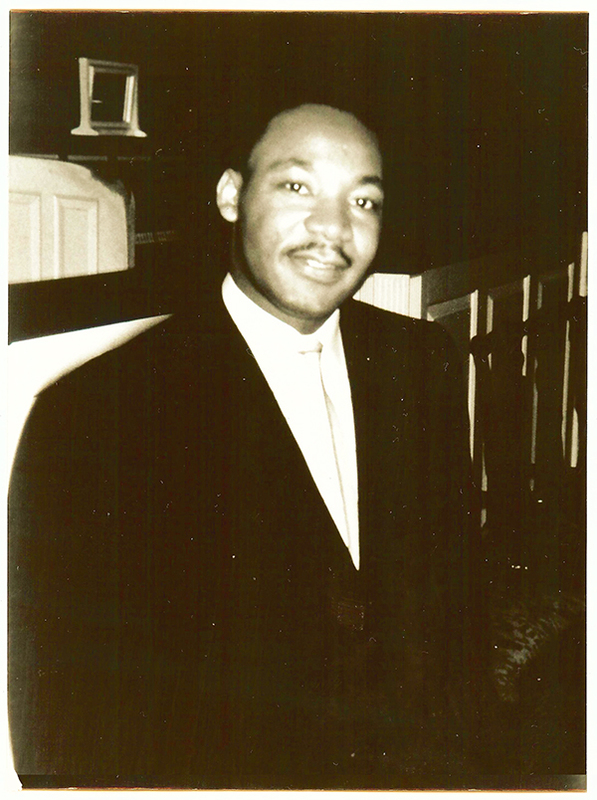 Image of Martin Luther King, Jr. from when he preached at Southern Seminary.